Earlier in the week, we posted about the GoFundMe Page Reggie Bush and his wife created, as a way to raise money for Nipsey Hussle's children. "In partnership with GoFundMe and with the help of our marketing team over at CAA, we have been empowered by Lauren London, Nipsey's girlfriend, to put together a GoFundMe account that directly benefits Nipsey's two kids, Emani and Kross," the description read. While the thought was kind, it seems as though Reggie may have been told to not start the campaign but went ahead and did it anyway. 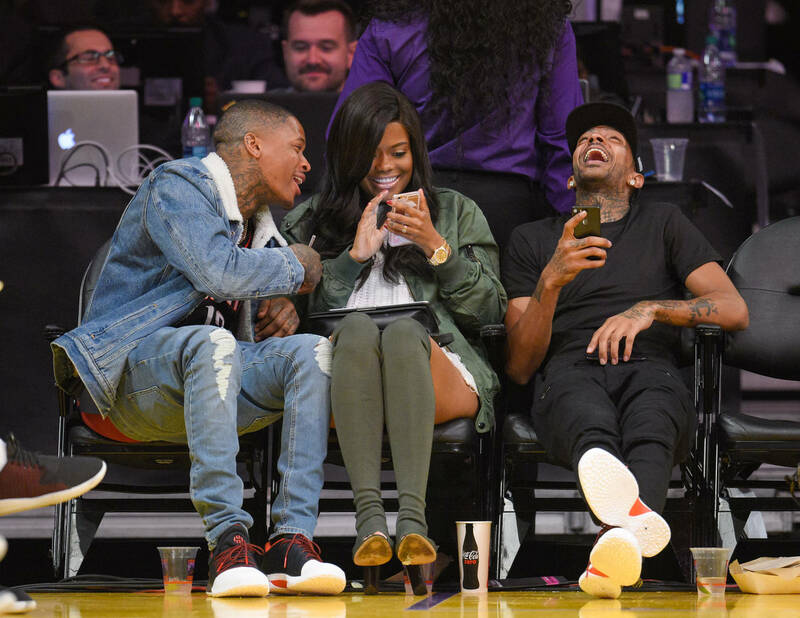 Karen Civil has clapped back at Reggie asking him to remove all tweets surrounding the campaign since he was allegedly told by Nipsey's family to not start the funding process. "I understand you’re motivated and want to help, but there are other ways. His family already asked you NOT to do this. People are literally grieving over a husband, father, brother, uncle, friend and someone who meant so much too so many people. This is not the time for this," Karen tweeted to Reggie. The former football player explained how he has no ill internions, but Karen reminded him it wasn't about that. "I never spoke on what you had to gain, Simply asked you to remove the tweet, just like you did the gofundme," she wrote. "You asked prior to do this and was told no by family, but did it anyway. You never once spoke to Nip in the gym the many times you saw each other." Reggie has since responded to the situation with a lengthy Instagram caption, telling Karen and whoever involved to "Please CHECK THE FACTS!" "My time is already busy as it is I would never even put forth the effort to take on a project like this unless I got someones blessing!!" Reggie wrote. "It was about doing something positive and giving back and paying homage to a man that stood for so much and was a leader in the community and over came the obstacles of the hood and made it big while never losing sight of where he came from!" Karen jumped in Reggie's comment section to state her piece again. "You literally had this campaign go up, while he was finally being laid to rest. When you and your team previously asked, they told you NO, and you moved forward anyway," she wrote. "If you are so compelled for what Nip stood for in his community, Raise that hundred thousand dollars for women who lost their significant other/husband to gun violence and financially cannot provide for their families."